Well, This week has been eventful! Elder Drake finished with Elder Fiefia this week! So Elder Riddle has been staying with us. I also got a new bed that is super comfy! And Elder Riddle took his fan from their house and brought it to ours! So It has been the best 3 nights of refreshing sleep I've had..
was sick so we weren't able to teach her. But we taught her twice and she is super cool and I think she is ready so that is cool! We also went back to Moana but her Dad is a missionary/ minister for the Church of Tonga so he keeps trying to get rid of us! So they will keep trying! But other than that we didn't do much because we have been with Elder Riddle (ZL) and we have to do all the stuff he has to do. Take care of the missionaries! Also we had a visit from Neil L. Anderson and he came and spoke to us! So we had to go out to all the Motu (Smaller Islands) and get all the Elders from there! So that took awhile! Then had to drive them around all week so we didn't do much work! But we learned a lot from Elder Anderson. He taught us about the doctrine of Christ! His Testimony was incredible! I know he is an apostle of God! He is a stud! But After that was Transfers.. And guess what.. Yes.. I got transferred. I don't know what time this week I'll leave but I will be leaving soon! I am follow up training a Palangi from Cali. 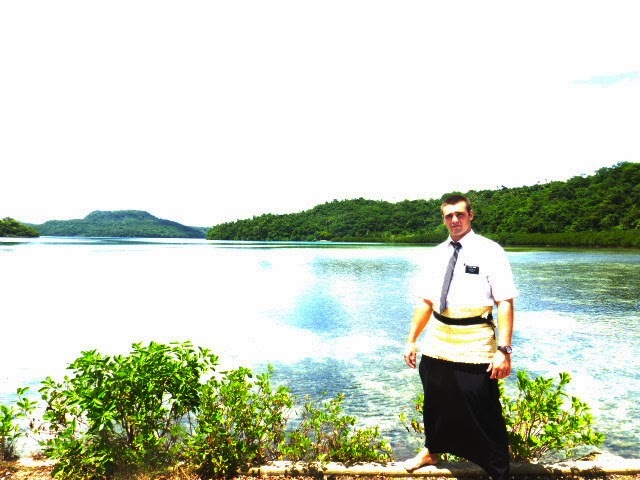 I will be training Elder Katolo still staying in Vava'u but in an area called Houma. He has been out 12 weeks. I'm really nervous about it but I know that if I was called to do it I'll be able to do it! It's gonna be hard and instead of being able to ask my comp how to say something, He'll be asking me that.. I'm still not good in the language but I can do it. It'll be an amazing experience and I'm up for it. I think we are going out for Pizza tonight for a last celebration and a goodbye party! The pizza is a whopping 34 bucks... And we need 2.. HAha so It's a sacrifice! But it's worth it. American food is worth any amount of money!!! Haha! Well I'll let you know how everything else goes! Love you all and I've never asked for prayers though I need them.. But I'm asking now because I'm gonna need them more than ever! I love you all and miss you all! Not much this week either. We actually got new bishops and everything so hopefully things will take off! We went tracting this week and found 3 new investigators to teach and one day baptize! It's super cool! There isn't a lot to tell you! I've gotten close with Elder Drake. 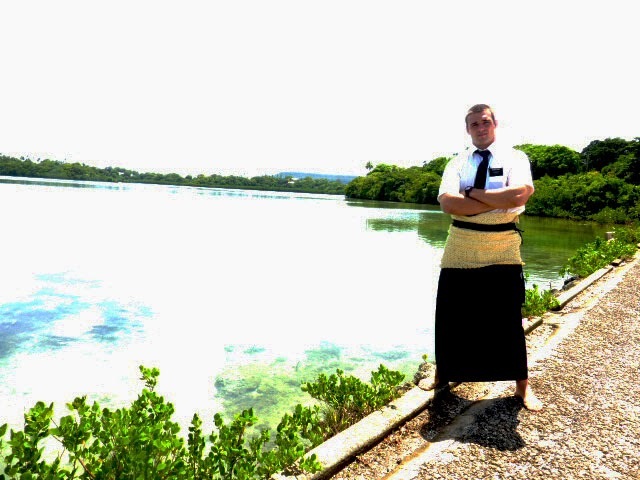 He finishes this week with Elder Fiefia! Try and get a hold of Fiefia! I told him to visit you! I love that kid more than anything! He's part of the Fam! But I think things are gonna start taking off here. I love it. I don't have much to say and I apologize! Next week will be better. Because we have a lot of teachings! Oh we taught a family and he was the Faifekau of a church. (Preacher) But they seemed like they enjoyed the lesson but like I said everyone has hard hearts and they just want to stay in the church they were born in or that their spouse is in. Even if they know the truth... It's so sad and It really does break my heart! I love you though and I don't think I need anything from Hawaii besides the choc! Love you mom! Wait, and P days we just e mail and then talk and hang out! But I love you! Hey Dad, How's everything going. What company do you work for?? Or is that unknown to us?? Haha Wish I knew what was going on there. We haven't been having success but Hey we got three new investigators and two of them at church so that's cool. We teach all of them tomorrow So I'll let you know next week how it all goes. Transfers are next week. Hope I stay with Haleki but we will see. I got attacked by D.A.N once... Daily afternoon nap.. Haha But I'm doing good. I've been a bit dizzy and tired lately but It's all good! I love and miss you! Glad you get to go home soon! I'll be right behind you! Psych!!!! HAha Tell me about those new weapons! I want a gun when I get home! Concealed weapon! So just a gift Idea for you! Love ya dad! Valentines night we went out for PIZZA! We got to see some of the Olympics. I haven't seen a T.V. or a place like this in awhile. I love it!!! I know it looks bad but it is healing! So this week was a little better! We work hard everyday but things are kinda slow! It's hard because a lot of people here are loto fefeka (hard hearted)! But we still try. We actually had a cool experience this week. We went to our Fafanga and afterwards we were walking and my comp said he needed something at the house then all of a sudden decided he didn't. Then we walked a little ways and my comp goes lets go this way, a way we have never been. Then I said hey lets stop here and see where we should go. So we stopped and all of a sudden a Palangi guy stands up in his little shop and started talking to us. We talked for a good hour and a half and shared a few messages and he invited us over again on Sunday to have pie and talk. So yesterday we talked to him again and he likes his religious ways but agrees with a lot of the principles we teach. The Spirit literally guided us to him! It was really cool! He is from Melbourne Australia! Another really cool event. We went to this ladies house. Her name is Kelese. As we were talking to her we found out her knee is really bad and she hasn't been able to walk for a year! As we were talking I felt an impression to promise her a blessing so I began to think of a way to say it in my head and as I was doing so my comp promised her exactly what I was trying to say. The Spirit is working with us and that makes us excited! That sad part is is that she doesn't want to listen. She believes the B.O.M but Is happy in her Church.. That just goes to show how loto fefeka they really are! Kinda sad! But I know that nobody has faith like me! just kidding, but With Faith comes blessings. I know I'm helping people even though I can't really see it. And the coolest part is I'm seeing these crazy changes in me. I love studying, I love people, I am nice to everyone. My heart breaks when people try and tell us we are wrong and when people don't want to listen.. It's the hardest thing in the world, but we were all blessed with Agency. God is preparing people for us and we will find those ready and willing to live this Gospel! Mom, I've been reading :The Infinite Atonement!" It's amazing! You should read it. Or buy it. That goes for all of you who read this :) But I love you all! This week we are hoping to get a few new investigators and a baptism! A lady made me this bag.... It is super cool!!!! What better thing to dip in it than Flamin' Hot Cheetos! Thanks for the Cheetos mom, send more!! !